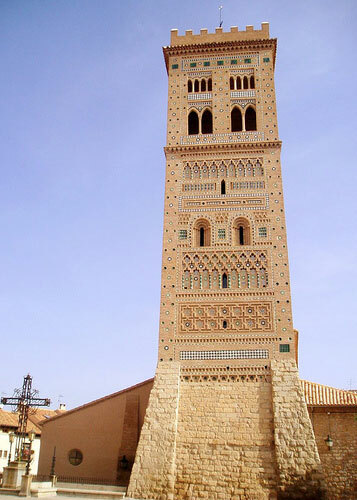 It was designed a World Heritage by UNESCO in 1986. 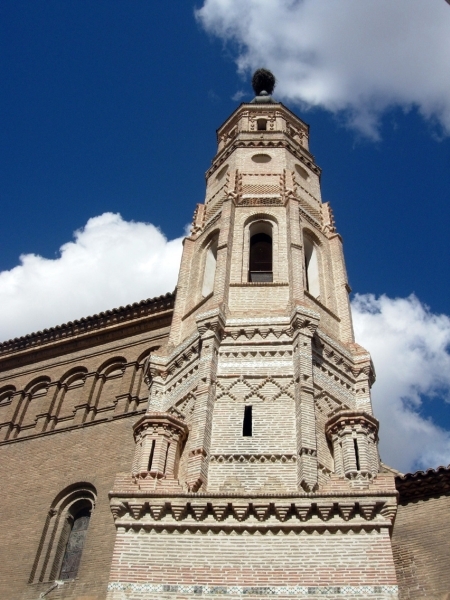 The Mudejar style is one of the main features of the heritage in Teruel, a unique architectural style typical in the Iberian Peninsula. 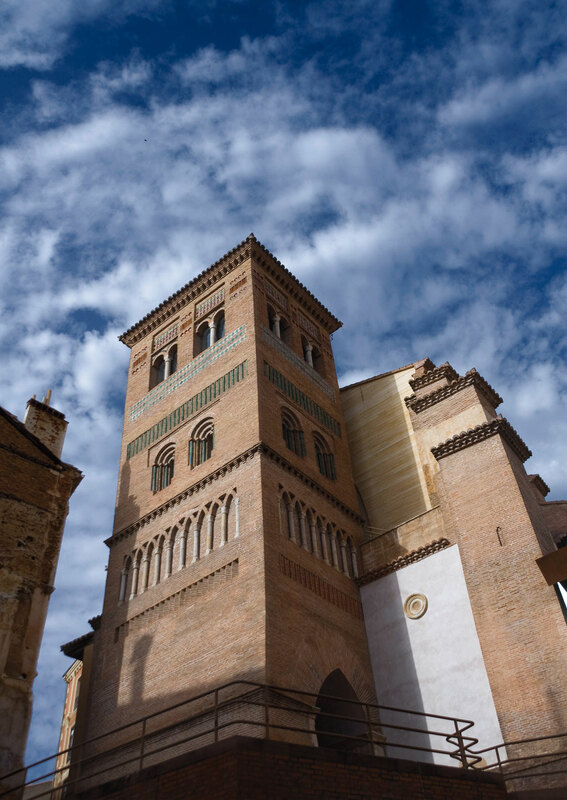 This kind of art emerged as a mix of cultural traditions and Christian and Islamic talent and reached its highest point between the 12th and 16th centuries. The precise use of fired clay as the main element is admirable. 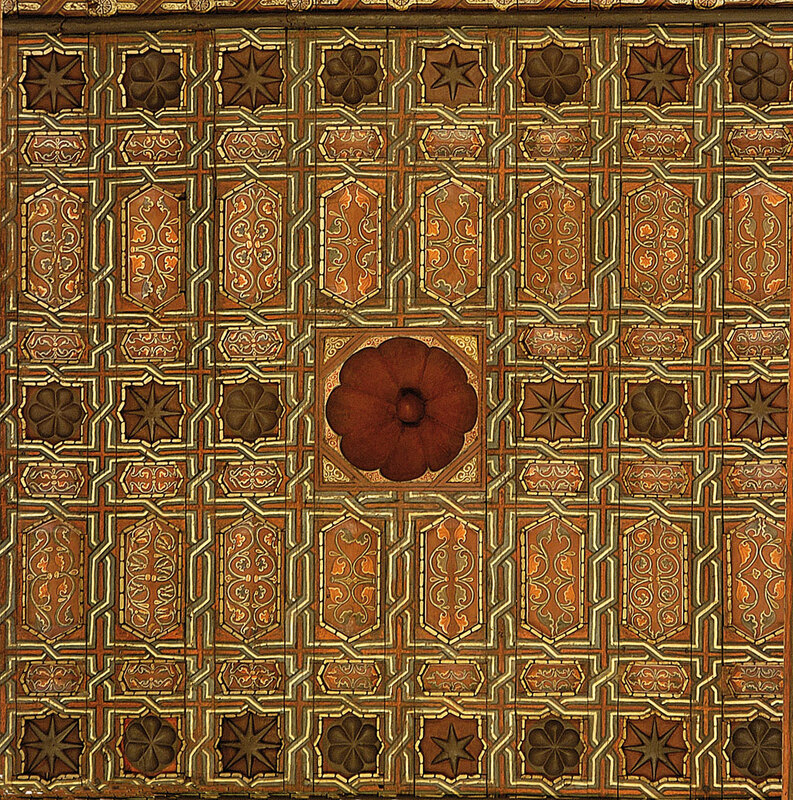 This modest material in its infancy is enhanced by a profuse decoration with glazed ceramics following a tiling pattern with white, green and blue geometric figures such as diamonds or woven elements called “sebka”. 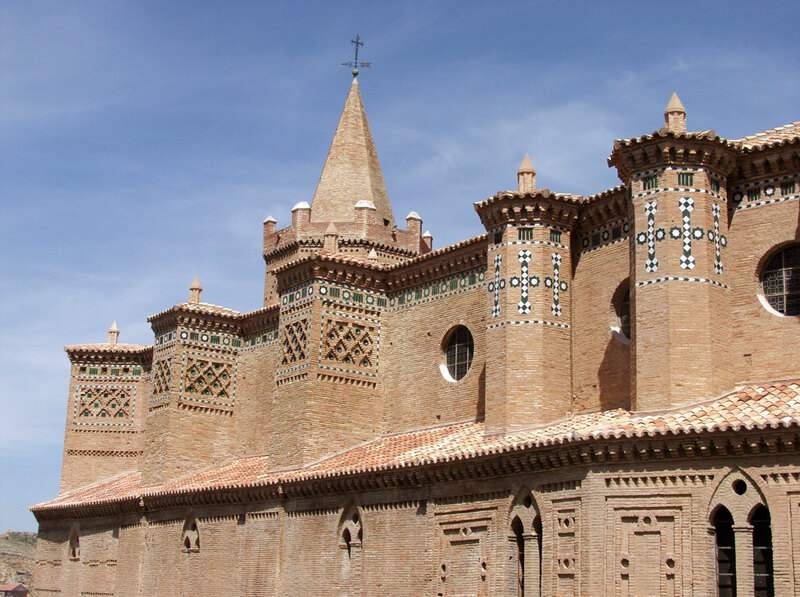 The same guidelines are used in the exceptional Mudejar ceilings in churches like the Cathedral, where, bricks are replaced by wood and ceramics to get a pictorial decoration illustrating everyday scenes by using shapes and plant life ornaments. 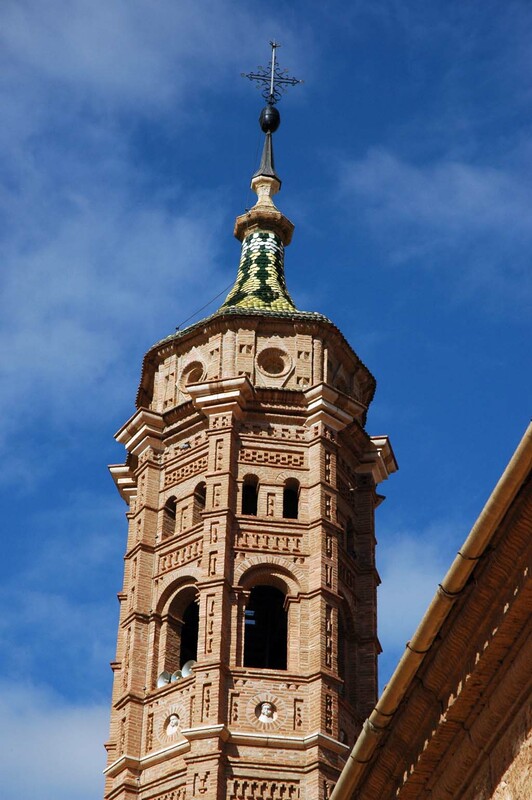 The city of Teruel has the best examples of Mudejar in religious temples such as Catedral de Santa Maria and churches like San Pedro, El Salvador and San Martín. 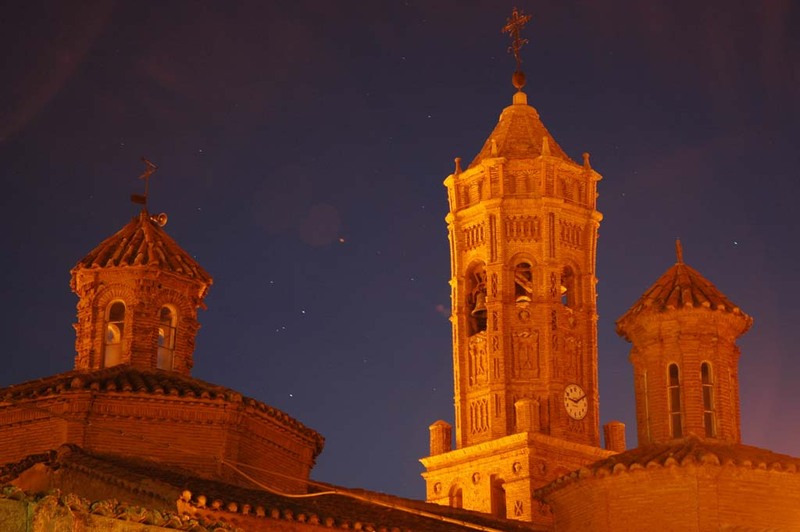 Furthermore, you can also find this style in Montalban, Peñarroya de Tastavins, Muniesa and many other locations near Valle del Jiloca.